Everything you need for the tour will be taken care of — inter-island plane tickets, chauffeured transfers from Honolulu Airport to Pearl Harbor where you will be met by our supervisor who will be meeting with you and orient you and provide you with your vouchers & tickets. Take note that this is a very small group tour which even do not require you to stay with group. You don’t have to wait in line behind thousands for USS Arizona Memorial ticket; no following tour guides and big groups as well in pearl harbor. On north shore part you will be escorted by a professional local tour guide. 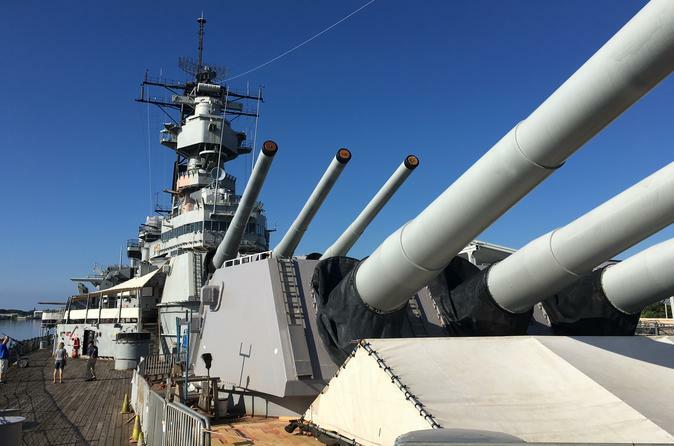 Then we will leave Pearl Harbor to take you to the most popular major attractions along the North Shore of Oahu. Have lunch at Pearl Harbor (American Hot--Dog and Soup or a plate of nachos). Beautiful sitting ocean front next to USS Bowfin Submarine. Client also receive one complimentary gift of Pearl Harbor 75th anniversary of the attack "mug" per reservation.